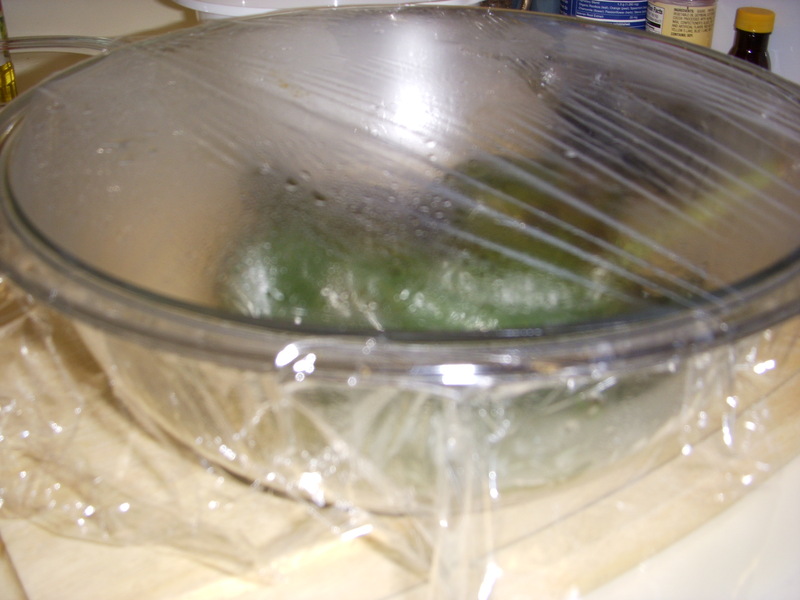 I like to use a foil lining because it makes it easier to clean up the baking sheet after they are finished cooking. 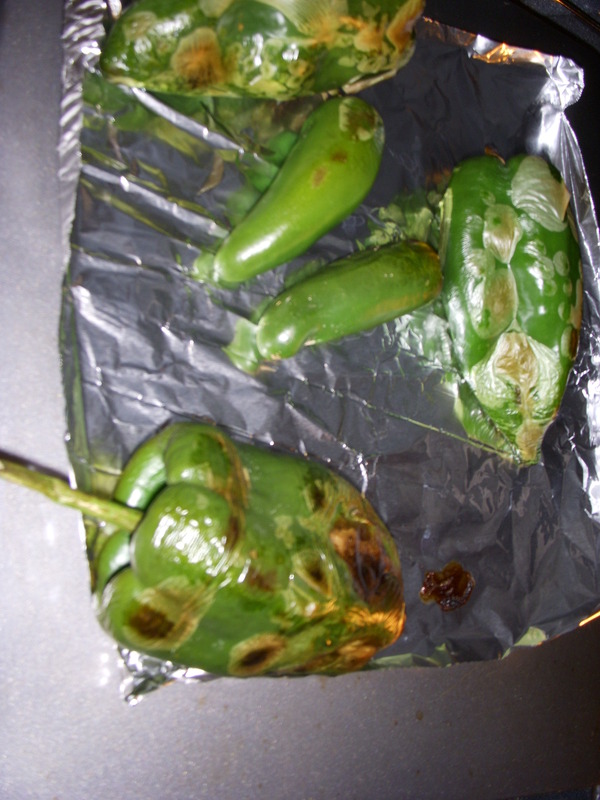 Place the peppers under the broiler and cook until they are browned. Turn the peppers throughout the process to cook all sides as evenly as possible. 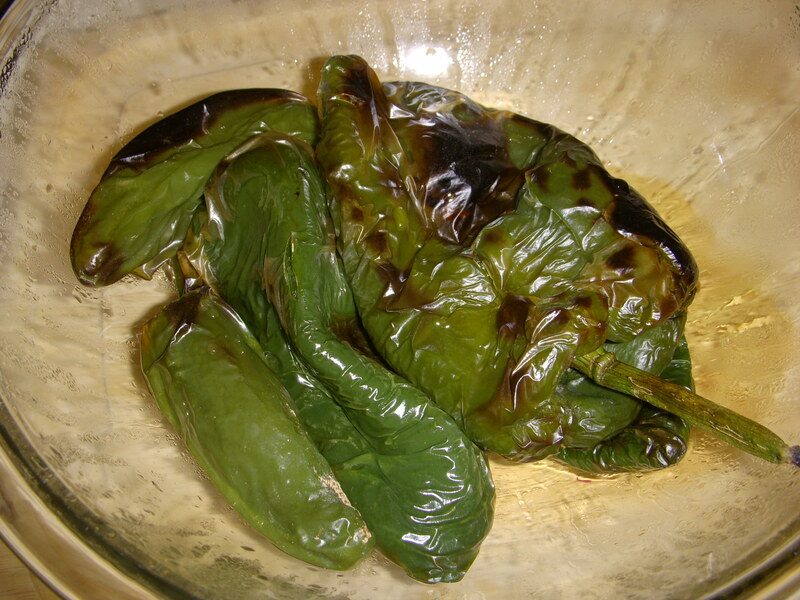 Once the peppers are nicely browned, place them in a paper bag or a bowl covered with plastic wrap. 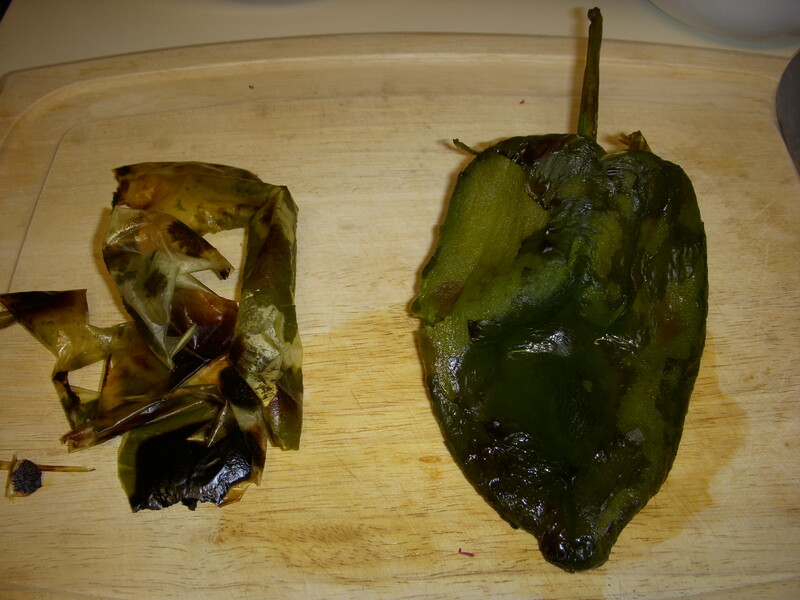 Basically, you want to trap the steam from the cooked peppers to loosen the skin of the pepper. 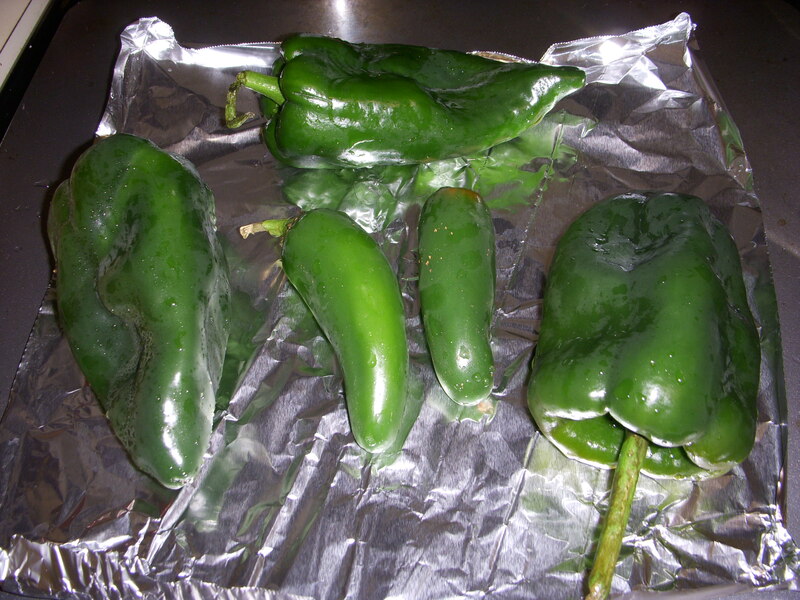 Allow the peppers to sit in the bag or bowl until they are cool enough to work with. Carefully peel the skin off of the peppers. Then chop the peppers. 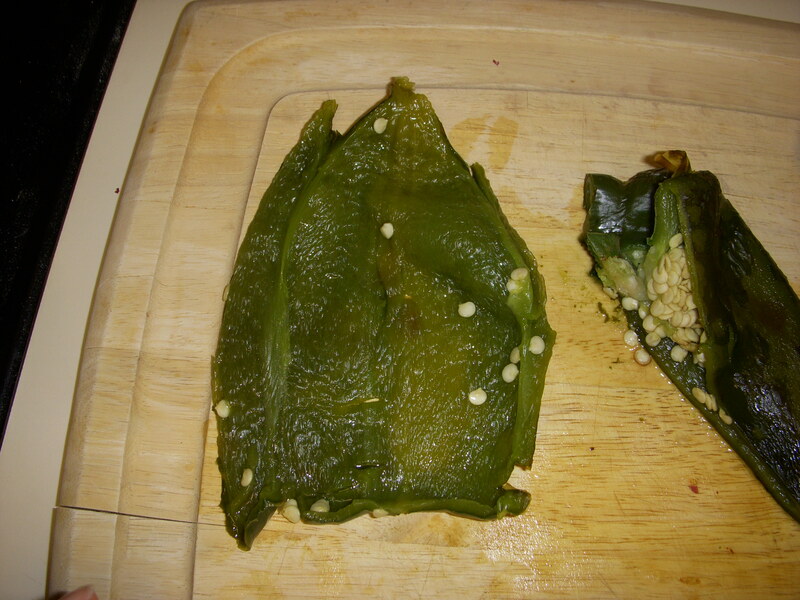 I like to split the peppers in half and remove the stem, seeds and veins. Removing the seeds and veins will remove much of the spice of the peppers. If you want a spicier dish, leave some of the seeds. 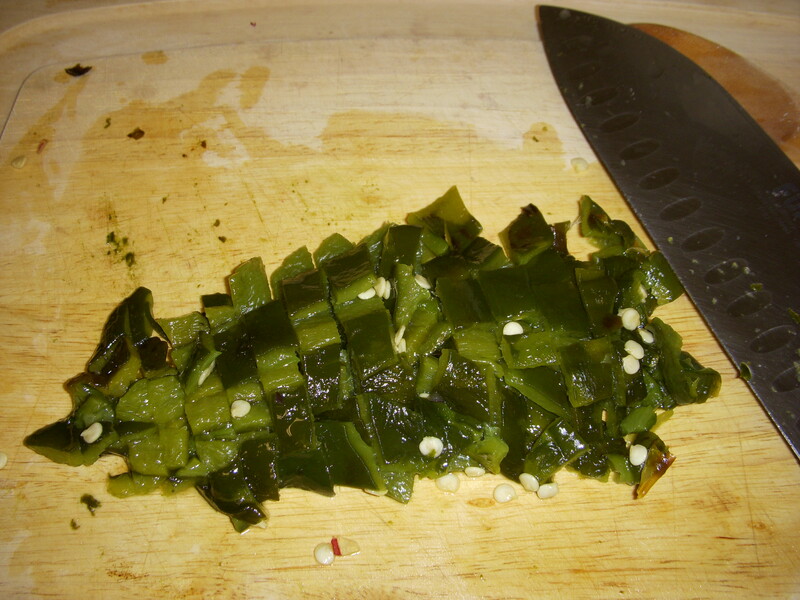 Then, I place the two halves of the pepper together and chop them.